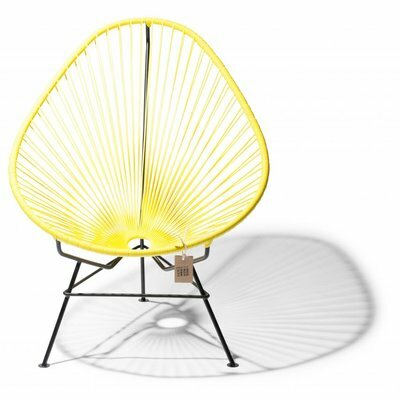 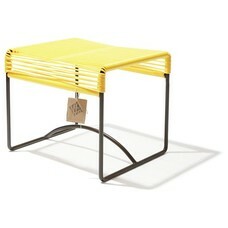 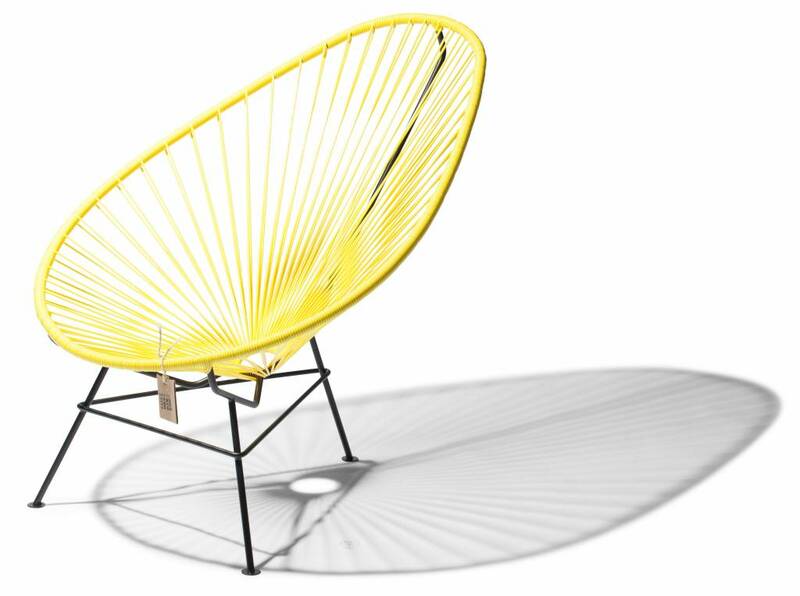 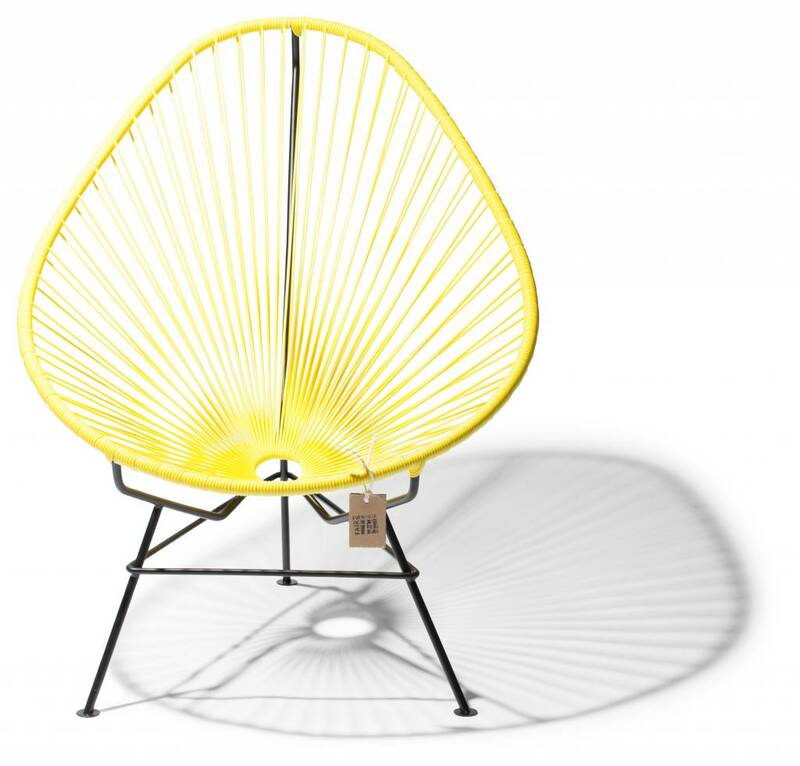 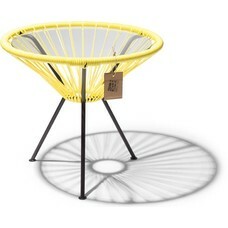 Canary yellow Acapulco chair. 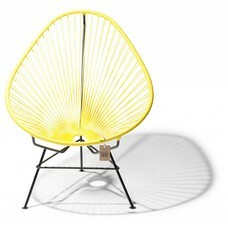 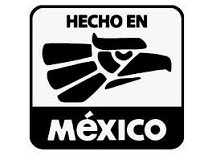 Mexican design chair of the 50´s. 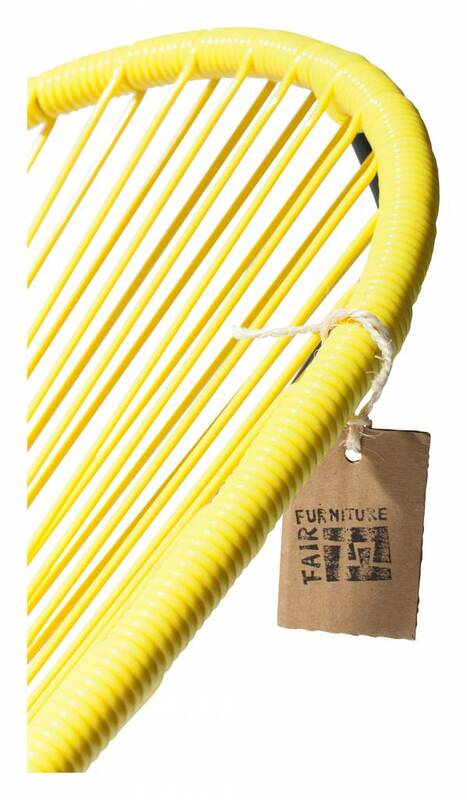 Solid galvanized steel frame with powder coating, hand woven with recycled PVC.